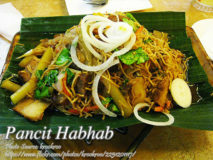 Pancit habhab is one of the popular stir fried noodles that originated in Lucban, Quezon province. 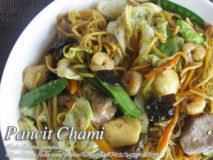 It is very similar to pancit canton but the..
Pancit Chami is a signature dish of Lucena City in Quezon province. 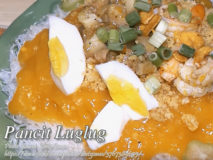 It is made from miki noodles which is a type of fresh egg..
Pancit luglug is I think a Kapampangan version of pancit palabok. A saucy noodle dish mixed with luglug sauce and topped with sliced pork and.. 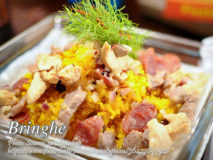 This dish is I think a Kapampangan version of the paella. 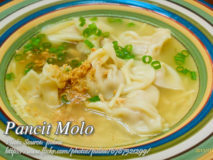 Bringhe is almost similar to the famous Spanish rice dish called paella containing rice, meat,..
Pancit molo is a well known Filipino dish that resembles the Chinese dish called wanton soup. And this dish looks more of a soup than..